Don’t forget, this weekend on The Kids’ WB! 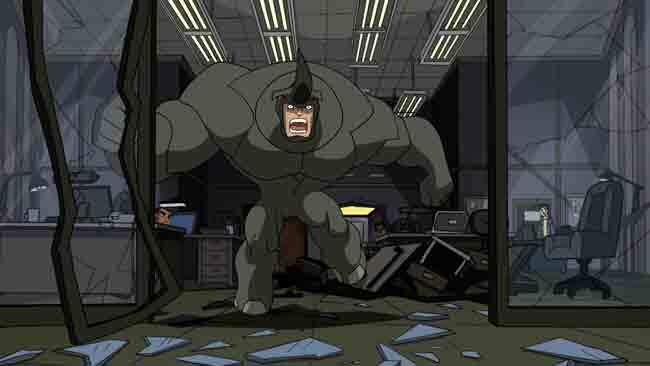 the Rhino makes his debut on The Spectacular Spider-Man. I’m glad the TiVo is still recording this show for me as I’ll want to watch this one to see/hear Clancy Brown in the role of Rhino. The CW was kind enough to send along a couple of extra shots of Rhino all glammed up. In the premiering episode, “The Invisible Hand,” Peter Parker struggles to get a date for the Fall Formal, and to figure out a way to pay for it. 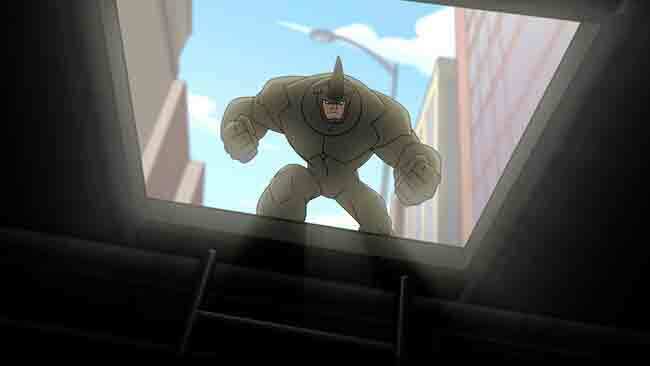 Meanwhile, the unstoppable Rhino â€“ the latest of the Big Man’s creations â€“ has sworn vengeance on Spider-Man. Spidey takes the battle directly to the source of his troubles, the previously invisible hand, who has been secretly conducting his villain-of-the-week attacks. But the Big Man offers a surprising solution to Spidey’s problems, a tempting offer he doesn’t think our hero can afford to refuse. Will Spidey do the right thing? Next Article What’s Up with Sue Storm?